Electric Versus Regular Toothbrushes - Adelberg Montalvan Pediatric Dental PC & Orthodontics too! 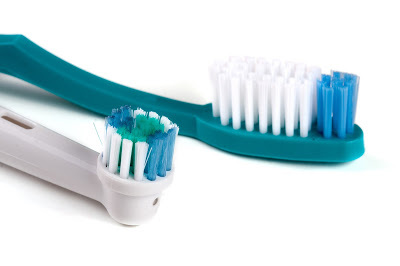 Have you ever wondered why people use a regular toothbrush over an electric or vice versa? Electronic toothbrushes are nothing new but for some reason used less than regular brushes. Take a look at the pros and con to regular versus electric, and see which type of brush best fits you. The choice between manual and electronic toothbrushes comes down to a matter of preference, but in some cases, people use both. If you have more questions about manual versus electric toothbrushes, contact us!